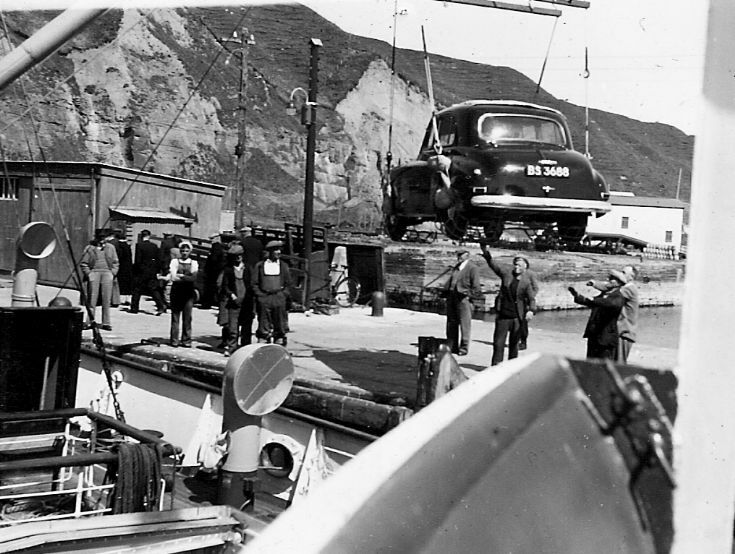 Orkney Image Library - St. Ola II unloading in Scrabster. St. Ola II unloading in Scrabster. Photo was taken on the first crossing of the St. Ola II to Scrabster. Note the padding on the roof of the car as protection should the spreaders land on it. Someone will know who BS3688 belonged to.